Here are a few of OETA's top picks from December 31-January 6. Free to stream for a limited time. Don't like being rushed? Try OETA Passport. S43 Ep2017: ACL Hall of Fame New Year's Eve 2017 The 2017 ACL Hall of Fame inducts Roy Orbison, Rosanne Cash and the Neville Brothers. S19 Ep4: The Untold Tales of Armistead Maupin Watch this film up to January 15th. S32 Ep16: Snow Monkeys Follow a troop of snow monkeys in Japan to see how they prepare to face the world. 4. Geat Performances: Tony Bennett & Lady Gaga - Cheek to Cheek Live! 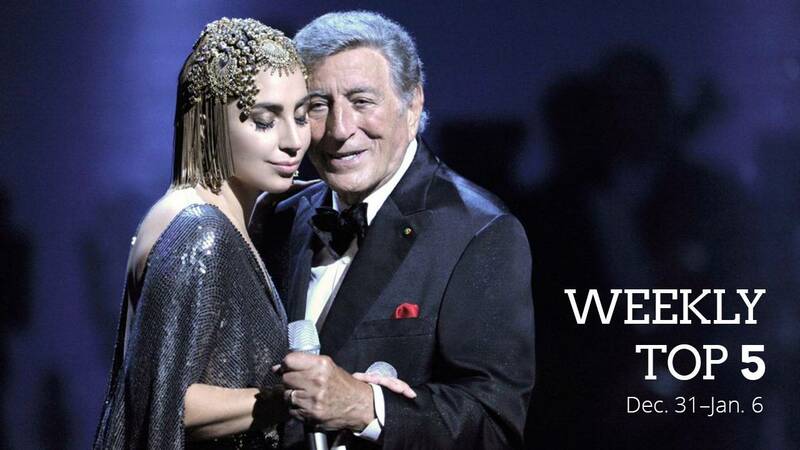 S45 Ep12: Tony Bennett & Lady Gaga: Cheek to Cheek LIVE! From their hit album, an evening of classic jazz standards in duet and solo performances.